To provide nature-related experiences and activities to help visitors of all ages develop and rekindle an awareness and appreciation for the natural world around them. 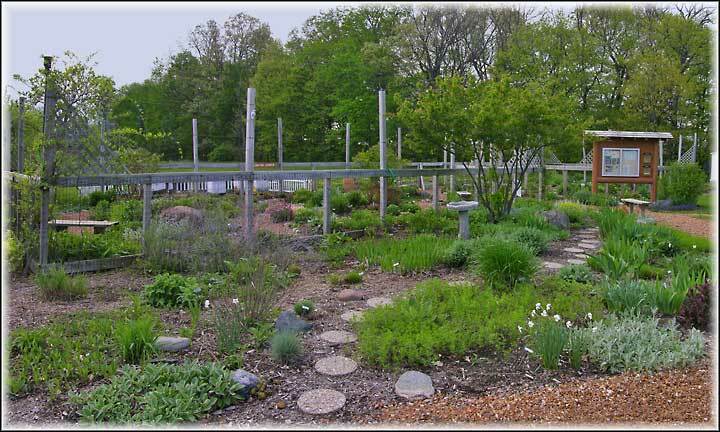 The Shadbush Nature Center is located in the northwest section of River Bends Park in Shelby Township, Michigan. The northern boundary of the Nature Center is adjacent to a unique natural area known as the Shadbush Tract. Both the natural area and the Nature Center are named for the exceptionally large Shadbush trees that grow in the area. During the 1950s, the Nature Center area was a site of silos that formerly housed the Nike Missiles. 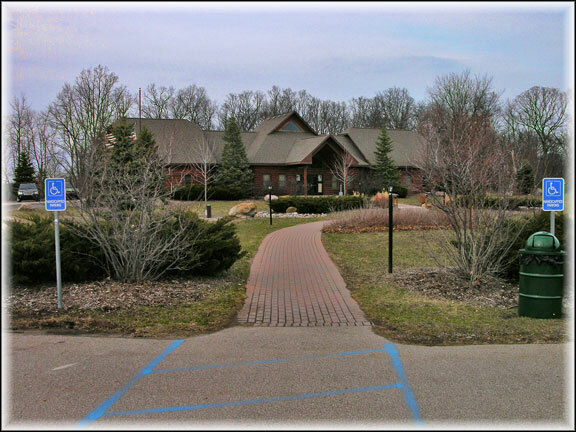 Discussion concerning construction of the Nature Center began in 1993, when Shelby Township acquired a part of the Rochester-Utica Recreation Area from the State of Michigan. This area is now known as River Bends Park. With the assistance of the Shelby Parks & Recreation Committee, Shelby Township was able to apply for and receive a grant from the DNR (Michigan Department of Natural Resources Trust Fund) in the amount of $302,688.00. Actual construction began in May of 2000. On February 3, 2001, the Nature Center officially opened to the public. Check out the current edition of “Shelby Township News Worth Knowing” for program offerings and special events! Officially opened on Tuesday, January 30, 2007. This unique display gives visitors to the Nature Center the opportunity to learn about wildlife on the Clinton River. The exhibit was provided by a generous contribution from Visteon and was designed and constructed by The Nature Factory with input on design and guidance from the employees and volunteers from the Nature Center. Their efforts to create a hands-on exhibit for children and adults was truly a labor of love and is evident by the display’srealistic qualities and the attention to detail that was given during its construction. The display gives visitior a glimpse of some of the living things found in and around the Clinton River. It allows children to crawl through a “river bank tunnel”. Along the way they’ll find buttons to push. Each button lights up one of eight different visual displays showing scenes of Clinton River wildlife. The Shadbush Tract is a unique 80 acre natural area located in the northwest section of River Bends Park in Shelby Township. It’s named for the exceptionally large Shadbush trees that grow in the area. This area has often been referred to as “the little Grand Canyon of Macomb County” because of its geological features. It might also be called “the gem of Shelby Township”. There is no other known tract of land in Shelby Township with such a variety of habitats — hardwood forest, cattail marsh, cedar swamp, and riverside meadows. A wide range of birds, small animals, and plant life is also found in the Shadbush Tract. Over 30 years ago, the Michigan Natural Areas Council formed a reconnaissance team to survey this unique natural tract. At the completion of the study, the team recommended that this natural tract, with its wide variety of plants, animals, and natural features be dedicated as a Nature Study Area. This recommendation became a reality on April 8, 1966 when the Shadbush Tract was dedicated for protection as a natural area preserved in its natural state, with foot traffic restricted to foot trails, and its use restricted to nature study by the public. In January of 1992, the Macomb Audubon Society initiated a Natural Features Inventory of the Shadbush Tract. This organization was endeavoring to inventory the plants, trees, mammals, reptiles, amphibians, insects, and bird life in the natural area. In March of 1992, the Macomb Audubon Society commissioned students under the direction of Dr. James Wells of the Cranbrook Institute of Science, to perform a Botanical Survey of the Shadbush Tract as well as other parts of the River Bends Park. The Macomb Audubon Society had also engaged qualified biologists, entomologists, herpetologists, etc. to conduct the other parts of the ongoing survey. Over 100 species of birds have been identified in the Shadbush Tract as well as protected plants and animal species like Lady Slippers, Trillium, and the Spotted Turtles. The Shadbush belongs to a group of flowering shrubs and small trees called Amelanchier, in the Rose family. The name is said to be derived from its sweet tasting berries. Due to their flowering and fruiting characteristics, a number of Amelanchiers have been given such names as Shadbush, Serviceberry, and Juneberry. “Shadbush” refers to the flowering of the bush-like tree in the early spring, when the Shad fish used to swim up the eastern rivers to spawn. The mountain people call it the Serviceberry because the trees bloomed around the time the circuit riding ministers went into the mountains after each spring to perform such services as weddings. The name Juneberry reflects the maturity of its small, apple-like fruit in the month of June. Over 40 species of birds and other animals like the skunk, raccoon, squirrel, and chipmunk eat the berries, which also make fine pies, jam, jelly, and wine. Rabbits, beaver, whitetail deer, and moose also browse on the twigs. Native Americans mixed the dried berries with dried buffalo meat to make a food staple called Pemmican. The bark was simmered and used to soothe eyes irritated by the sun, dust, and snow blindness. They also used the wood to make arrow shafts. The buds are rather long, slender, and pointed. The bud scales may be greenish or reddish tinged in color. The leaves are simple, egg-shaped, sharply toothed, and alternate. They are about ½ – 2 ½” long and about 1″ wide. They may be somewhat rounded or heart-shaped at the base. In the fall, the leaves turn pretty shades of yellow, orange, and red. The small white flowers with five narrow petals grow in clusters at the end of the branches. They bloom in early spring (March/April) before or as the leaves appear. The small, round, apple-like fruits, the size of a large pea or small blueberry, are reddish purple or blue when ripe in early June. The bark is mostly smooth and light gray in color with long, dark streaks with stripes like the stripes on a tiger. At one time, there were three rivers in Michigan called the Huron River. The Lower Huron, which flows through Ann Arbor, Michigan. The Upper Huron, which flows through Pontiac, Rochester, Shelby Township, Utica, and Mt. Clemens, on its way to Lake St. Clair. The Huron of the North, which flows through the thumb area of Michigan. Having three rivers with the same name caused so much confusion among people that two of the rivers were renamed. The Upper Huron was renamed the Clinton River in honor of Governor Clinton of New York. The Huron of the North was renamed the Cass River in honor of Governor Lewis Cass of Michigan. The Clinton River was shaped by the Wisconsin Glacier that covered Michigan 18,000 years ago. There are three branches of the Clinton River: North Branch, Middle Branch, and Main Branch. The Main Branch flows approximately 80 miles from its head waters west of Pontiac to Lake St. Clair. Approximately seven miles of the Clinton River flows through River Bends Park. The Clinton River was originally names the Huron River by Native Americans. The name was changed to the Clinton River in 1827 in honor of DeWitt Clinton, the governor of New York; the state where many of our early settlers came from. The Clinton River played an important role in both the settlement and development of Macomb and Oakland Counties. The Clinton River was an important natural resource for hunters, trappers, and early settlers. It served as a significant source for food, water, and transportation, as well as a power source to operate mills. The Clinton River is still a valuable resource to us today. It provides opportunities for recreation such as fishing, canoeing, wildlife watching, and other outdoor activities. The Clinton River serves as a principle habitat for the 66 species of fish, over 30 species of mammals, over 100 species of birds, and countless species of wildflowers.